Last week, I finished a month long journey of forcing myself to read a 500 page monstrosity on the Pentateuch. Since then I have been rapid firing, or rather “rapid reading” books off my “to read” list. And next up was a shorter, way easier but just as brilliant career book by Jon Acuff. So a few months ago, when I heard Jon was coming to Salt Lake City, I eagerly signed up to go meet him. I had incorrectly assumed that he was a pop Christian author, only writing for the highly unique, niche market of suburban Evangelicals. I was delighted to discover I was wrong and that Acuff actually specializes in writing career advice books. Ironically, I think this makes him a much better servant of the Lord than writing humor for Evangelical moms. When I went to meet him, Acuff explained that the secret to pulling off a successful career transition (or career in general) lies in 4 simple things: you character, your work ethic, your friends and your skills. Not one of those four things is life changing. 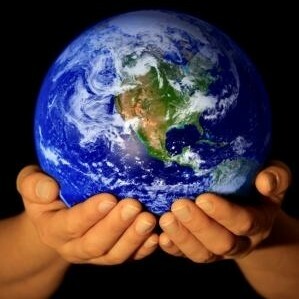 I don’t think anybody is going to read “Do Over” and say, “I actually have to work hard to be successful! Who knew! ?” In fact, Jon points that out in the book. And yet, as he also points out, the number one reason people get fired is for not showing up to work. I know some of those people and want to give them a copy of “Do Over” in the hopes that they will slap their foreheads and say, “Now I know what I have been doing wrong!” Then I can say, “I told you so” and we will have a special moment centered around my smugness. With that aside, the focus on relationships, skills, character and work ethic are not what makes the book great. Instead its genius lies in the “how.” Acuff litters every page of “Do Over” with great suggestions for how to improve your skills, how to build a huge relationship network, how to work harder and how to become a better person. (Hint: you will need a lot of notecards!) While everything is carefully studied and well documented, most of his advice comes from his own personal journey, which he carefully narrates along the way. This almost makes “Do Over” as much an autobiography as it is a career book. And that is what makes “Do Over” rise above the rest. Acuff displays his full personality on every page. His careful and excellent writing serves to infuse himself into every word, every example and every piece of advice. When you spend time with “Do Over” you feel like you are hanging out with Acuff personally. I love this because after getting to know him for a quick half hour in June, I wanted to hang out with him that much more. 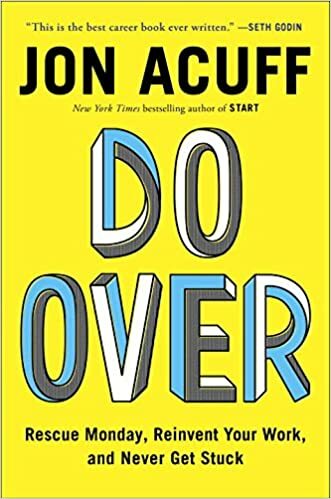 If a month from today I forget all the suggestions and details of “Do Over”, and have lost all my note cards, I still will have been a better person for having read it. The wit, humility and teach-ability of Jon Acuff transcends anything else in the book. It drips off the pages into your soul so that you find yourself a much better employer, a much better friend and just a much better person for having spent time learning from the master of career transitions. So go buy the book all ready!